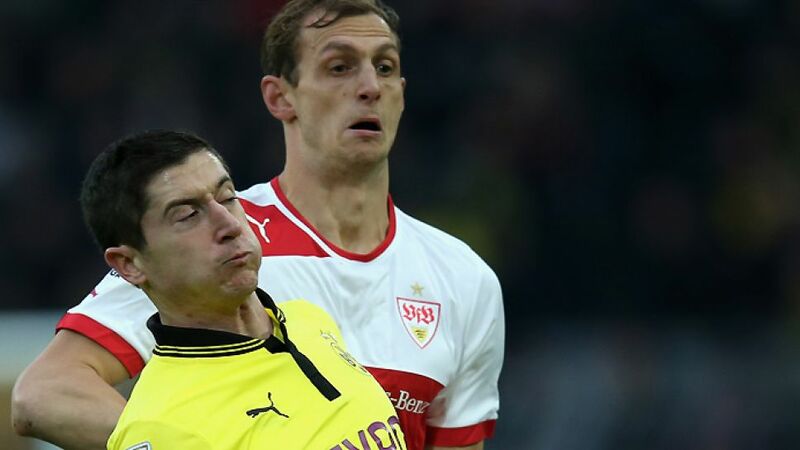 Dortmund - Borussia Dortmund host VfB Stuttgart on Friday night (kick-off 20:30 CET) in their first game since coach Jürgen Klopp committed himself to a new contract. Klopp endorsed his affinity to the Westphalians by adding an extra two years to his previous deal and showing his long-term commitment to a club who are once again challenging for honours on three fronts. "For me, Dortmund is the perfect place to be," the tactician said after the the announcement was made. "We’re slightly in love with BVB. There’s something amazing about this club.” Indeed, with the likes of Robert Lewandowski, Marco Reus, Henrikh Mkhitaryan and Pierre-Emerick Aubameyang in their squad, that is something of an understatement. Dortmund go into Friday night’s Matchday 11 opener aware they can scale the summit of the Bundesliga, be it even only for one night, and send Stuttgart back south with a message to FC Bayern München: that the 2013/14 Bundesliga campaign is going to be one of the closest contests in history. A glance at Stuttgart’s attack reveals the root of their optimism. Alexandru Maxim has created five of the six goals the Swabians have scored from set-pieces since Schneider took charge. Most of those have been for the league’s joint top-scorer Vedad Ibisevic, who is back to his deadly best and has already inspired Stuttgart to rise from the foot of the table to eighth, with the prospect of a leap to fourth with victory on Friday night. Nevertheless, Klopp refused to be drawn on the importance of previous meetings. “You cannot compare them,” he said. “Stuttgart’s team is no longer the same anyway. They’ve got a lot of quality and are in good form.” The visitors may field a different line-up to the one that began their 1-1 draw with 1. FC Nürnberg last week, as Gotoku Sakai returned to training on Tuesday and is set to step in at full-back to face one of the fastest players on the planet, Aubameyang. Blink, and you might miss what will no doubt be another captivating Bundesliga installment.